still don’t believe in the resurrection? I am not the judge on who is a Christian and who is not. If I were, heaven wouldn’t need so many mansions. But I am wondering how a person can identify themselves as a follower of Jesus Christ and not believe in the bodily resurrection of Jesus. They are out there – the people who buy into salvation and new life in Christ but coming back from the dead is a little over the top! So apparently Easter means nothing to these people. What will they be celebrating when they dress up and come to church this Sunday? Here is my take on the issue: It is completely futile to put your faith in a dead man’s ability to raise you from the dead. It doesn’t matter that Jesus died for you if He is still in His grave. There is no redemption in His death unless He resurrected. So, take the leap. Put your faith in what God says. Jesus Christ was crucified, buried and resurrected from the dead. He is alive and is coming again. And everyone who follows Him is alive! OK, I rethought my last post. I was determined to keep my eyes on the immediate project, our outreach efforts to the children of Peru. But with the arrival of Palm Sunday and Holy Week tomorrow, we have to put first things first. Passover begin at sundown on Monday. The week of Passion will be upon us. The greatest need of humankind will be met by the Sinless One. The emotions of this week, for those who take time to look closely enough, will take us for a ride. Palm Sunday, although the beginning of the “end” for Jesus, is a day of great triumph. Jesus will overcome! He will complete His task of being the Savior of the world. And we have reason to celebrate! Palm Sunday at Maranatha will feature a message from the Gospel of Matthew 21:1-11. Read it thoroughly. We will discuss the ironies of the events of that day. And in the end, we will rejoice with others at the plan of salvation that God has brought about. God awaken us to your love, your life, your salvation! Although some pretty cool things have been happening this week, I am staying zeroed in on “Project Peru” this week. We shot some new video today that I will post tomorrow. Once that is up, we will explore some of the new things that God has done this week. Suffice it to say, we are heading into Holy Week with some momentum! If you have yet to make a donation to Project Peru, please take a look at the video two posts down or visit wecanshareit.org to check your options. 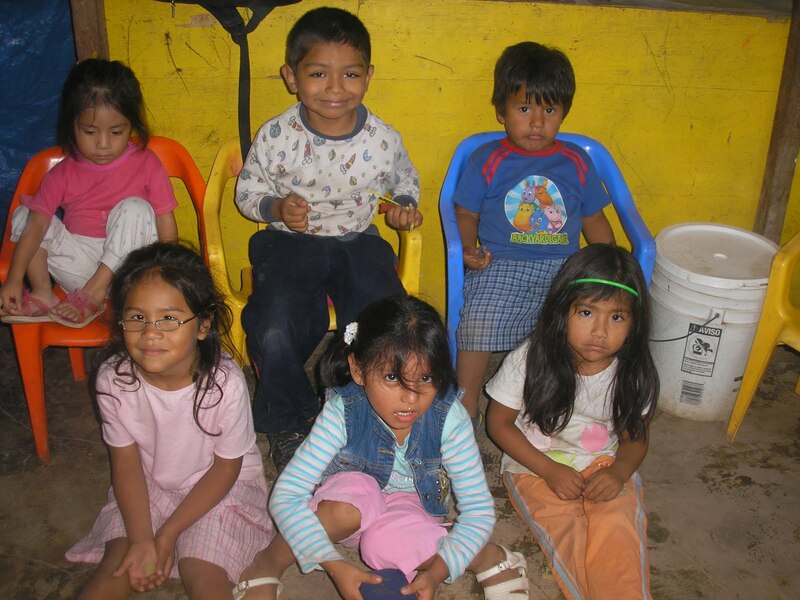 I am serious about helping these needy kids in Peru. We need to make an investment into their lives. Do you think I can hike 25 miles? With a full backpack? In 13,550 ft Andes Mountains elevation? And, on a related note, do you care about needy kids? I am raising money to help assist a Children’s Ministry Center in Lima, Peru. They feed, educate and provide medical care for 330 impoverished children. Their leader, Pastor Dario Lopez is a trusted man who has invested the last 20 years caring for these children. Our financial support will allow this great work to continue and to expand. Here is the plan: My daughter, Jessica and I plan to hike the Inca Trail in Peru in May. The trip is approximately 25 miles long. I am finding sponsors who will support my trek on a per-mile basis. The money will be collected before (for those of you who actually think I can make the trip) or following (for those of you who think I am a wimp) the trip. I am actually hoping to hand-deliver the funds to Pastor Lopez when we arrive in Peru so your faith in my hiking ability is pretty vital. Here’s all you need to do. Go to Maranatha’s outreach website, wecanshareit.org and read the details. Or, you can watch this video on youtube.com or click on it below. A paypal page has been set up for your convenience. You may also simply place a check in the offering at one of our services at Maranatha, but please be sure to designate “Peru” on your envelope. One more thing: and this is important. Let me know if you plan to support and how much you plan to donate. If you plan to give one dollar per mile, obviously the total amount is $25. I am looking for your total amount pledged. This will assist us as we set and reach our goals. My preliminary goal is $5,000, an amount easily attainable for us. That means that I need 200 people who will pledge $1 per mile. Or 100 to pledge $2 per… you get the idea. Of course, if you want to pledge $200 per mile, we will reach our goal! Thanks for your support. Pray for us as we are in training for this demanding hike. I have a lot of motivation to complete it! It’s a beautiful Friday morning in south Florida and we are getting ready for a day off. Letha’s birthday is tomorrow so we are planning some celebration time. Going to enjoy a couple of Cardinals baseball Spring Training games and eat steak for dinner tonight. I am trying to get her to plan a shopping trip – we’ll see. She is so low maintenance! Letha’s dad, Dave, is visiting with us for a couple of weeks. He is a joy to have around but I feel for him. His wife Mary passed away last January and he is not rebounding so well. I can’t say that I blame him. We are just embracing the time that we have together while he is here. We are missing Jessica a lot since it’s been Christmas since we have seen her. These are the stretches that make it tough. We have scheduled a trip in April to go see her – I can’t wait. I am getting ready for more missions activity. We are working on two projects: one for Peru and one for Guatemala, both to benefit needy children. On a total of 3 trips this Spring/Summer, we will take needed supplies to orphans, deliver finances to help build a Children’s Ministry Center and lead a large team of families from Maranatha on their first short-term missions experience. This missions activity is close to my heart and is one of the greatest expressions of my calling. It also helps keep me relatively sane. Maranatha is gearing up for Easter. We are hoping for some momentum to pick up and carry us through the season. We are having a difficult time getting people to come to worship events on a consistent basis. It just seems that so many things compete for the attention of our people. Maybe we will see a surge of commitment in the next few weeks. If we don’t, it won’t be because we are not trying. In fact, we are pushing hard to see this happen. One thing I am really enjoying right now is a small group that we have put together. We are meeting with several young couples on Wednesdays. They are a great group and are really jumping in to some important spiritual growth concepts. It is exciting to see how bright they are and how they are growing in our brief time together. I am meeting regularly with a Vision Team for Maranatha. These guys, along with our staff, are putting together some very important ideas for ministry effectiveness. I think the church will see the results of their work in a bunch of areas. I get inspired by meeting with them. When God speaks to me, especially in areas of changes that He wants me to make, it usually feels like agitation to my spirit. He makes me uncomfortable enough to want to change. I have been agitated in several areas for some time now. We are now dialoging our way through some adjustments that God is bringing about. By nature, I am not much of a risk taker, but God is certainly making it clear that some risks are going to be necessary if we are to see His plans fulfilled. We are praying and planning now but soon will launch into the vision casting stage of the process. I am cautiously anticipating a positive reaction from the people of Maranatha. By this time next year, if all goes well, we could be a different church. Do something today that matters; that will outlast you – that’s what God asks of us. Put God first. If He is not first on your list, He isn’t on your list. God doesn’t settle for second place. Find someone to serve. Give something away that you aren’t using. Surprise someone with kindness.